﻿LET US custom BUILD YOUR "DREAM HOME" FOR LESS! Each home we built is custom from the ground up, you will never see two of the same home that we've built. From bathrooms to kitchens if you need a face lift we can help you out with any renovation needs. 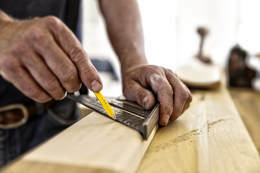 We can help put the pressure off your shoulders as we take over every aspect of managing your custom built new home for a flat rate fee according to your plan. 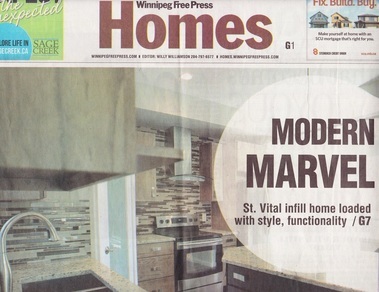 Our 1,263-square-foot, two-storey house built in the Old St. Vital of Winnipeg featured in the Winnipeg Free Press Homes Section. Proud to be a recipient of the Spring 2015 Manitoba Parade of Homes, also happy to announce our very first parade win for our 47 Varennes Avenue home. Copyright © 1989 - All Rights Reserved. For inquiries? Call us today!